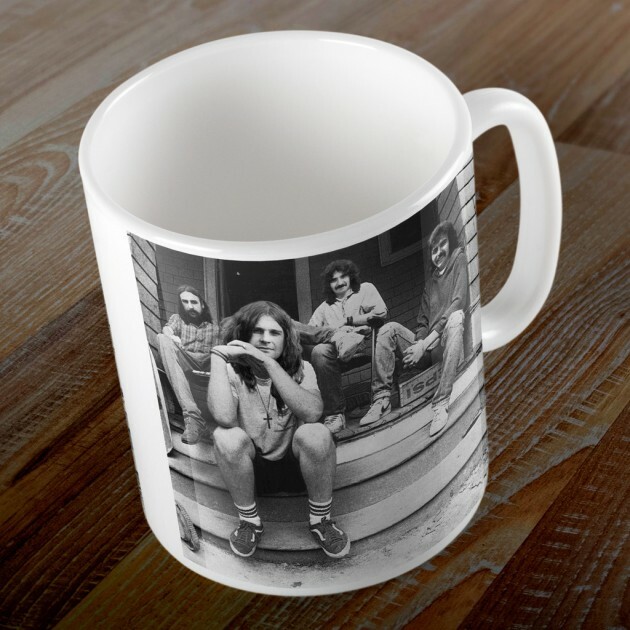 Some clever sod has photoshop skills and has transformed the infamous Glen.E.Friedman front porch shot of Minor Threat at the Dischord House with the heads of Ozzy and co from Black Sabbath. Cheeky, surreal and a must have. Ours arrived within just over a week shipped from the US. Grab yours before they are gone from here. 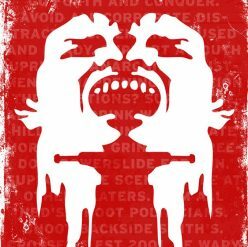 Sometimes tee shirt designs are so well thought out that you just have to push the buy button, especially if you know that there are only 200 made and they are $26.00. 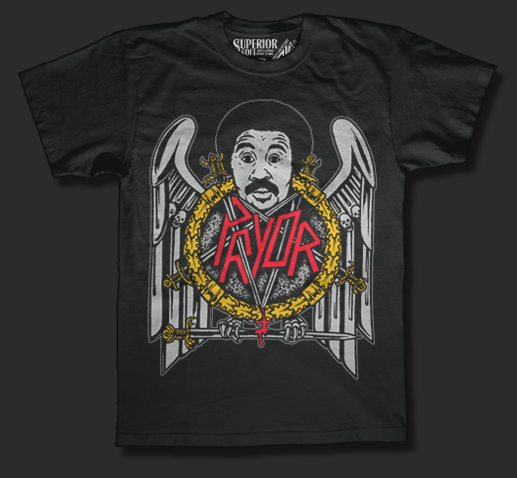 Artist Aye Jay mixed Richard Pryor with Slayer to come up with this classic must-have. Keep an eye on Shirts & Destroy in case they restock this 3-colour gem. Currently, they are sold out. 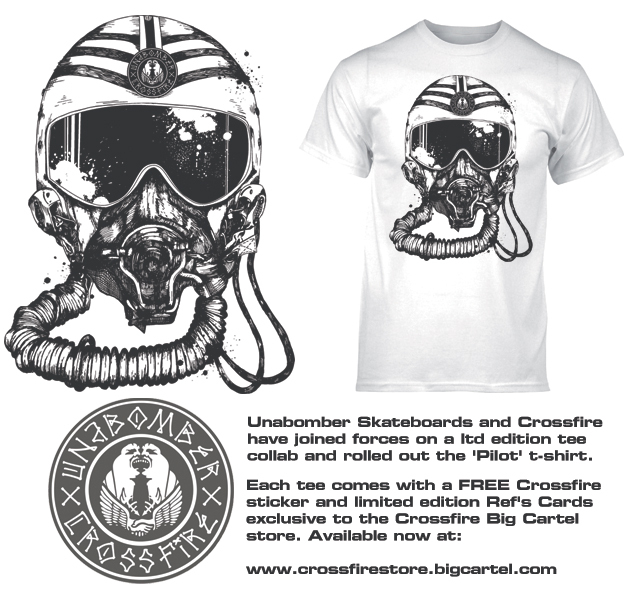 It doesn’t happen often in here but when Unabomber Skateboards asked us if we were interested in a collab, we decided that we should go back to the beginning when Crossfire was represented by the good old Bomber image and within a few emails, the ‘Pilot Tee‘ was born. So, this collab celebrates 10 Years of us bringing you what we do in here from a brand that we have admired since day one. In fact, the winged handshake Unabomber logo is one of the most iconic British skateboard company logo’s ever made, so we are proud to merge our head and their hands for this one-off, limited edition run of tees. Grab these whilst they are available from our online store. We will send them to you in the post as soon as you order with a Crossfire circle sticker and Refs Cards. 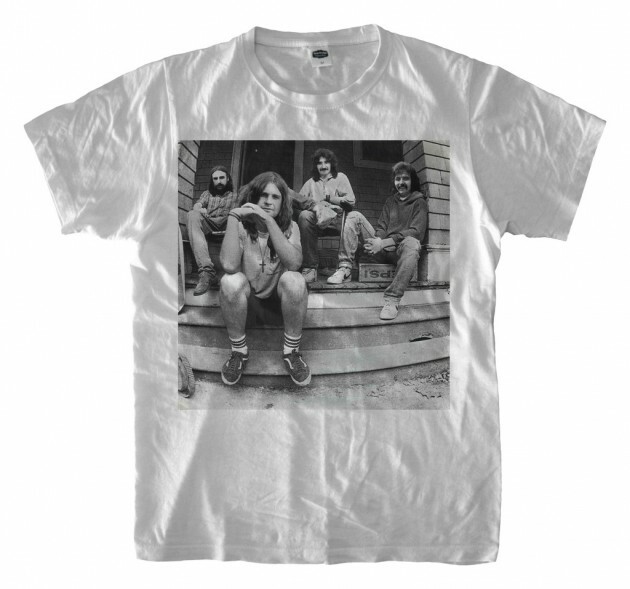 Treat yourself to a comfy, new tee to celebrate with us and take into the summer month’s ahead. Thanks for your support.